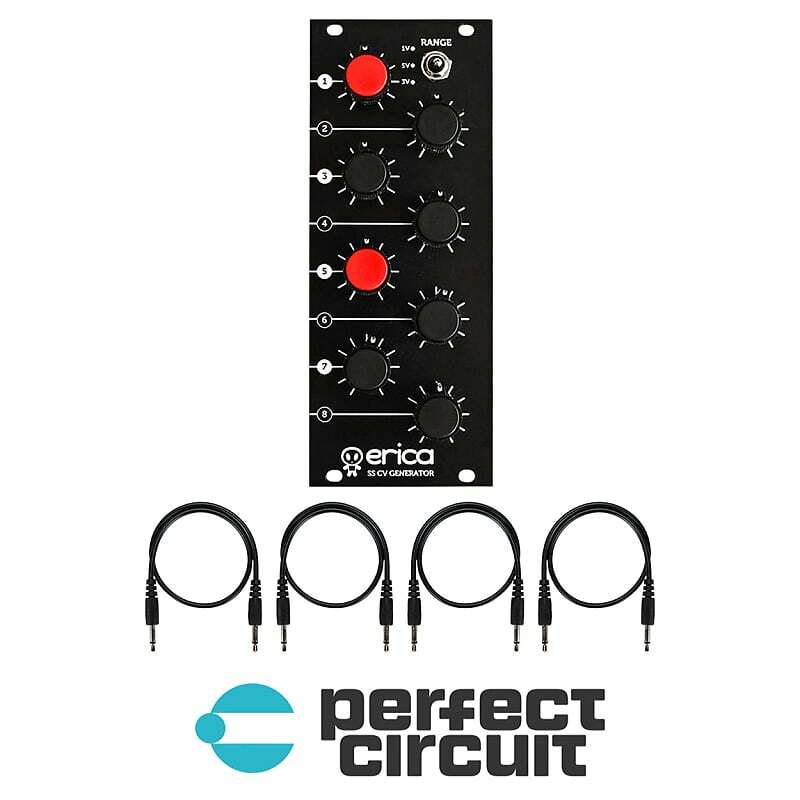 Erica Synths SEQUENTIAL SWITCH CV GENERATOR is an expansion module for the Sequential Switch that turns a sequential switch into powerful, feature-rich 8 step sequencer. Both modules combined generate CV and gate signals with all functionality that Sequential Switch has – merging, pausing, skipping and manual select of steps, random play, and piano mode. CV Generator generates CV for the each step in range from 0 to +5V, the three position range switch allows to select optimal maximum range: 1, 3 or 5V. If you plug some patch cable in any of Sequential Switch input jacks, CV Generator internal patch is automatically disconnected and it works as conventional Sequential Switch. The CV Generator internally connects to the Sequential Switch with ribbon cable supplied with the module. Expansion for the Sequential Switch!